WASHINGTON, D.C. – USCIRF sent the following letter to President Obama regarding his upcoming meeting with Egyptian President Hosni Mubarak. On Wednesday 28th May 2008, 4 Christians, a jeweler and 3 of his workers were killed in cold blood at mid day by masked men in Zytoun district in Cairo. The masked men sped away on motorcycle. The Egyptian police seem not interested. No suspects being arrested so far. On the 29th of May 2008, two masked men armed with machine guns stole 150,000 Egyptian pounds from a Christian jeweler in Alexandria. 2 suspects were arrested. Coptic (Egyptian Christian) priest is unjustly tried and imprisoned in Egypt. 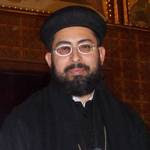 Father Mattaos Wahba, is the priest of Archangel Michael Church at Kerdasa, Geza, Egypt. He is a pious man of God who encourages his congregation with Jesus’ message of loving one’s enemy, blessing those who curse you; doing good to those who hate you; and praying for those who despitefully use and persecute you. (Mathew 5:44) Fr. Mattaos is a model Egyptian citizen that has not ever committed a crime or seen the inside of a prison other than in the context of ministering to inmates. Statement from the EUCOHR "Arabic"
يرحب اتحاد الهيئات القبطية الأوربية بحكم محكمة القضاء الادارى بإلغاء قرار الإزالة رقم 115 لسنة 2008 والصادر من حي العامرية بإزالة مبنى الخدمات الكنسية لكنيسة أبى سيفين خاص بالأيتام والمسنين بكينج مريوط والتابع لبطريركية الأقباط الأرثوذكس بالإسكندرية. Read more: Statement from the EUCOHR "Arabic"
The European Union of Coptic Organisations for Human Rights (EUCHOR) condemns in the strongest terms the barbaric attacks on the Church of Virgin Mary and Anba Abraam, Ain Shams, Cairo.